Answers to our National Puzzle Day Starspell! For National Puzzle Day (aka International Puzzle Day), we laid down the gauntlet for you, fellow puzzlers. We challenged you to put your vocabulary skills and your word-forming knowhow to the test with a Starspell puzzle specially constructed for the holiday (as it featured all the letters in the phrase INTERNATIONAL PUZZLE DAY).. The goal was to form common six-letter words by moving from letter to connected letter in the Starspell diagram. You were allowed to repeat letters, but only so long as you left the letter first and then came back to it. We found 28 six-letter words. Did you find more than that? Here’s our list: ALATED, ATONED, DEALER, DELETE, DENIED, DENOTE, DEPEND, EATERY, ELATED, EYELET, LAUREL, LENDED, LENDER, NEATEN, NEATER, NOTATE, PEALED, PENDED, REDEAL, RED-EYE, REINED, RELATE, RENDED, RENDER, REPEAL, REPEAT, TENDED, TENDER. Did you find any that we missed? Let us know in the comments section below! We’d love to hear from you! Hello hello, fellow puzzlers and PuzzleNationers! It’s National Puzzle Day (aka International Puzzle Day), and we hope you’re having a fabulous time! As you might expect, we’re overjoyed to be celebrating this puzzliest of days with you, and we’ve got a few things going on today in honor of the holiday! You can log into either the Penny Dell Crosswords App or the Daily POP Crosswords App for terrific deals, so be sure to check them out! And that’s not all! We’ve got a marvelous little puzzle for you as well! Today we’re testing your vocabulary skills and your Boggle mastery with a Starspell puzzle! 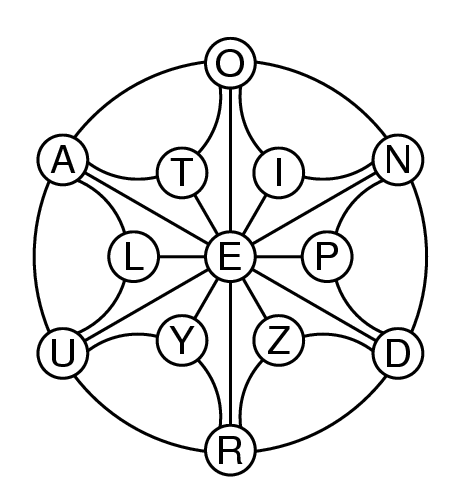 The goal is to form common six-letter words by moving from letter to connected letter in the Starspell diagram. A letter may be repeated in a word, but only after leaving it and coming back. The letters in today’s puzzle, appropriately enough, all come from the phrase INTERNATIONAL PUZZLE DAY! We found 28 six-letter words. How many can you find? How are you celebrating National Puzzle Day, fellow puzzlers? Let us know in the comments below! Happy One Year Anniversary, Crossword Puzzle Collaboration Directory! It’s funny how crosswords can seem like a solitary pursuit — and are often depicted as such in pop culture — and yet, there’s such a sense of camaraderie that comes with being a solver. I talk a lot about the PuzzleNation community and my fellow PuzzleNationers, or about the puzzle community in general, because it’s one of my favorite aspects of being a puzzle guy. 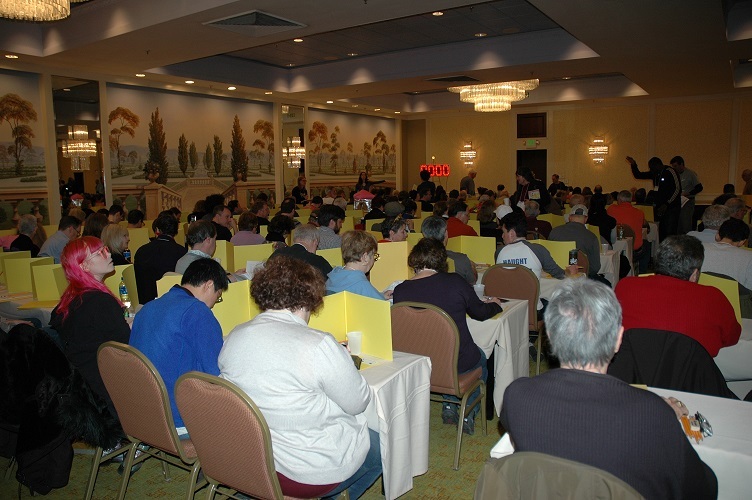 Whether it’s engaging in a puzzly activity with friends (like an escape room or a D&D adventure), hanging out with fellow puzzlers at events like the American Crossword Puzzle Tournament (registration is open now! ), or just teaming up with a pal to crack a particularly devious puzzle or brain teaser, those moments of shared experience are as encouraging as they are welcome. So it’s very cool to see one of the newer parts of the puzzle community celebrating its one-year anniversary: The Crossword Puzzle Collaboration Directory. This Facebook group is part gathering place for established and aspiring constructors and part resource for constructors of all skill levels. Over the last year, people have posted and shared information about everything from grid construction, editing programs, and cluing advice to networking, test-solving, and encouraging feedback. Inexperienced and aspiring constructors meet and collaborate with established names. Obstacles, problems, and questions are handled with equal care and support. Heck, some constructors have even posted rejection notices they’ve received in order to share the valuable feedback it contains. And some members of the group have greater ambitions for the Crossword Puzzle Collaboration Directory, hoping to encourage more constructors from underrepresented groups to construct and submit their puzzles, bringing a genuine level of equality and equal representation in the world of puzzles. It’s a place to learn, to network, to grow, to celebrate one’s successes, and learn from one’s setbacks. 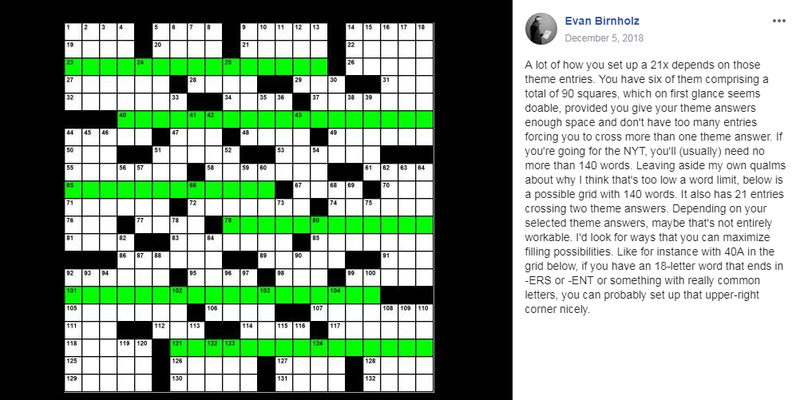 One of the regular visitors of the group even managed to cross off one of her New Year’s resolutions last year by submitting a crossword to The New York Times, thanks in part to the resources and support provided by this marvelous group of people. And that’s definitely something worth celebrating. The movie Escape Room opens today in theaters, so naturally, I’ve got escape rooms on the brain. For the uninitiated, an escape room is an interactive series of puzzles or challenges set in a closed space. The group needs to explore the room and complete various tasks in order to escape the room within the allotted time. Escape rooms have exploded in popularity over the last few years, so it’s likely you’ve either already participated in one or at least heard of them. But the idea of being locked in a room with a fixed time limit and an unknown number of tasks to accomplish can be intimidating or discouraging. So today, I thought I could offer some helpful tips to get you going. Whether it’s your first escape room or your twentieth, communication is always key. There’s a room to search, puzzles to solve, and tasks to complete, and everyone is going to have their own unique insights. So speak up! Point out things you notice, keep everyone informed of what you’re doing or trying to do, and let people know if you’ve solved or discovered something. And if you need help or you’re not sure about something, ask. It’s a team game. Most of the escape rooms I’ve done usually give you a whiteboard and a marker or a notepad and pencil to take notes with. This is an incredibly useful tool in solving the room, because it lets you keep track of code words, number chains, and possible combinations for the various locks you’ll encounter. And once you’ve used a code to unlock something, you can cross it out so nobody wastes time reusing a code you’ve already figured out. If there’s not some way to physically keep track, you can always ask someone to try their best to mentally keep track of which ones you have used or might need in the future. There’s a lot going on in any escape room, so keep things simple by setting up two areas: puzzles in progress and puzzles solved. Many puzzles or tasks you encounter in an escape room take time to fully form. For instance, you might get a keycard in one color, and not know what it’s for. But as you explore the room and solve a few puzzles, you find more keycards in other colors. Suddenly, you’ll find the use for ALL of them in a new puzzle. So have a designated place to keep things you find that you haven’t used yet. You’ll be glad you did. Also, once a puzzle is complete or a clue is used, put it into your “puzzles solved” area. You don’t need extraneous clutter confusing you, and it’s a good way to discard solved locks, used keys, and other parts of the game you’ve completed in a way that won’t slow you down moving forward. Doing so is also part of good communication, since everyone will immediately know what’s still in play and what’s been handled. Whether you’re enjoying a friendly day of solving or tackling a monstrous challenge like the characters in the Escape Room film, these clues are bound to come in handy. 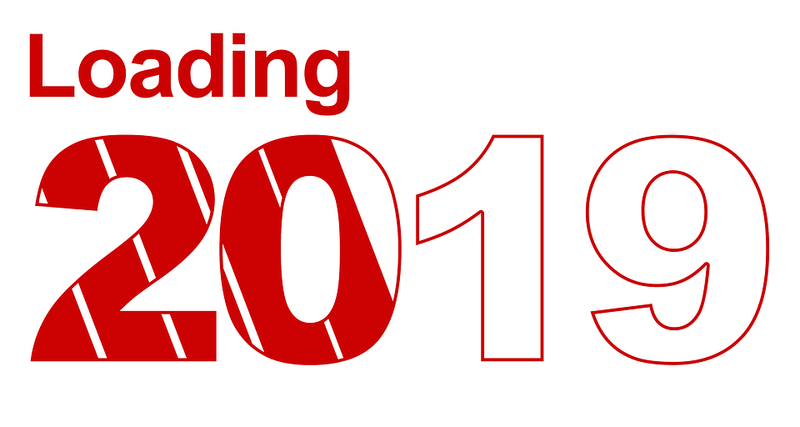 The PN Blog 2018 Countdown! It’s one of the final blog posts of the year, so what do you say we revisit all of 2017 with a countdown of my ten favorite blog posts from the past year! But before we get to the countdown, I want to briefly mention two interesting landmarks for the blog in 2018. In January, we were cited as a source in a college term paper, which is pretty gratifying. And in April, we were name-dropped in a CNET article about friend of the blog Hevesh5. Okay, enough bragging. Let’s get to the countdown! With the rise of puzzle-solving programs like Dr. Fill and game-playing AIs like AlphaGo, we’ve been joking for years about machines trying to topple humanity from the top spot as Earth’s resident puzzle-solving masters. But this year, it kinda stopped feeling like a joke. 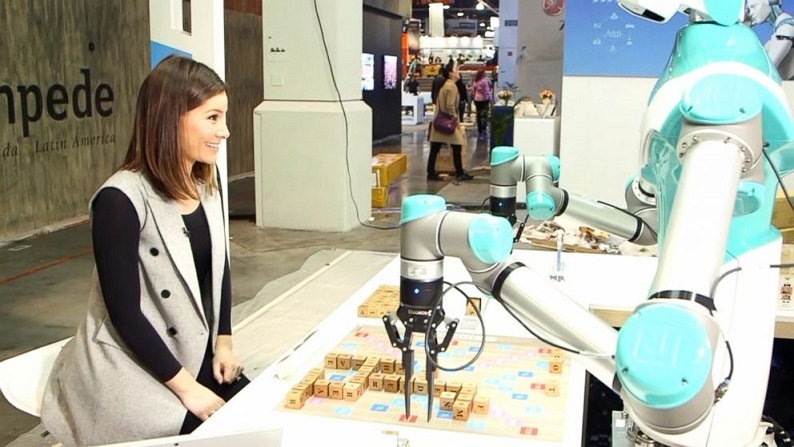 With Scrabble-playing robots, self-solving Rubik’s Cubes, and a computer program that might’ve cracked one of the most celebrated unsolved mysteries in puzzles, the machines might just be taking over. Crosswords are still the #1 paper puzzle in the world. With more than a hundred years of creativity, cluing challenge, and cunning construction behind them, they continue to fascinate and frustrate us. 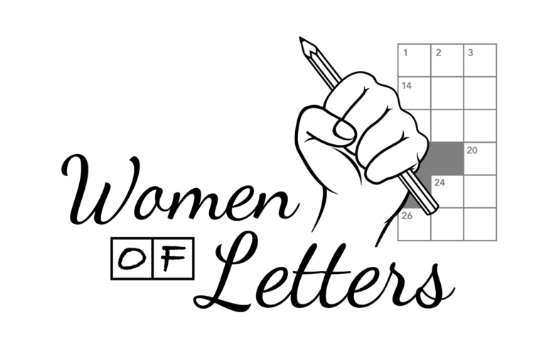 And we had a lot of fun with crossword topics this year in the blog. Two of my personal favorite entries were asking questions about common crossword clues and the post where we explored the brief-lived moral panic sparked by crosswords. They say history is written by the victors, and that’s true in the short term. But in the long term, history belongs to truth, and more and more, unsung heroes are coming to the fore and getting the well-deserved recognition denied to them earlier. 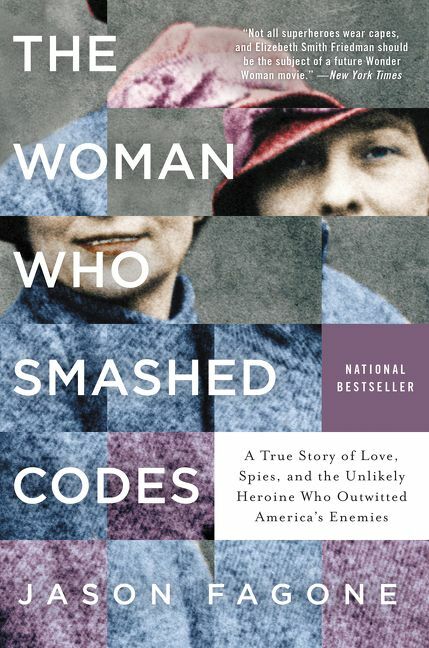 This is true in the world of puzzles as well, and this year, we had the privilege of putting the spotlight on two iconic women from puzzle history that had previously been lost to time and revisionism: codebreaking visionary Elizebeth Smith Friedman and spymaster Alexandrine, the Countess of Taxis. Interacting with the puzzle community is one of the highlights of doing social media for PuzzleNation. And some of the most enjoyable blog posts from this year involved focusing on members of the community and giving them kudos for their contributions to PuzzleNation and the world of puzzles in general. 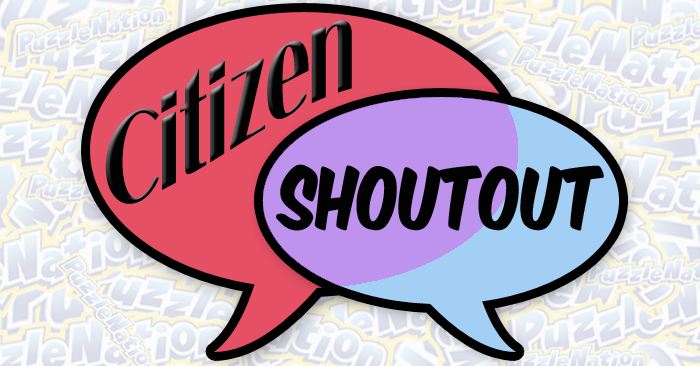 As such, we created our Citizen Shoutout series to honor those folks, and along the way, we’ve thanked game shops, local escape rooms, and dedicated solvers who make the puzzle community a better place. So after last year’s Puzzles for Pets gag was a big hit, we couldn’t resist getting in on the pranking fun again this year. The result — PNVR, a fake virtual reality puzzling experience — was as layered as it was silly, complete with fake quotes, splash pages, photos of people riding bikes while playing, and more. The visuals were amazing and hilarious. There are few things better than spending time with fellow puzzlers and gamers, and we got to do a lot of that this year. Whether it was cheering on our fellow puzzlers at the American Crossword Puzzle Tournament or putting our hands dirty with some knock-down, drag-out, game-playing ferocity during our Tabletop Tournament, these interactions were both invigorating and encouraging. Events like these really help solidify the spirit of community that comes with being puzzly. 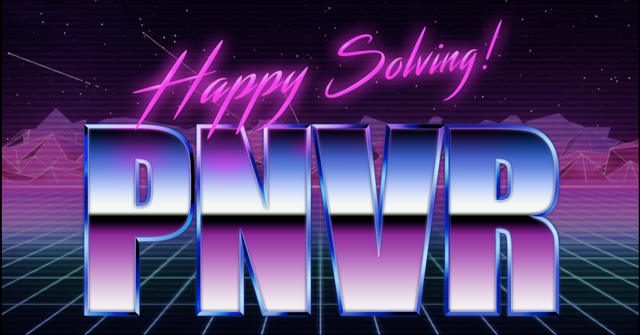 And speaking of interacting with fellow puzzlers, for International Puzzle Day this year, we masterminded a little online puzzle hunt for PuzzleNation solvers. Involving clues hidden in both that day’s Daily POP Crosswords puzzle and Penny Dell Crosswords App free daily puzzle, solvers had to anagram and solve their way around the website in order to earn a prize. It was a serious challenge to design, and great fun to unleash on the world. Using the blog as an amplifier to get the word out about important causes and worthwhile projects is one of the best things about writing here. And this year in particular, we can be proud of doing our damnedest to vocalize the incredibly valuable role that women have played (and continue to play) in the puzzle/game community. Whether it was discussing the gender disparity in published constructors in the major crossword venues or pulling back the curtain on misogynist gatekeeping in roleplaying games, we were privileged to ally ourselves with a brilliant, underappreciated contingent of the puzzle community. There’s nothing more exciting than getting to announce the launch of a product that has been months or years in the making, so picking #1 was a no-brainer for me. It had to be the announcement of Wordventures. But it’s not just the app, it’s everything behind the app. I’ve watched it grow and evolve in development, and it’s truly unlike anything we’ve released before. The mix of music, imagery, storytelling, and puzzle-solving is so atmospheric and engaging. It may sound self-serving or schlocky to talk about our flagship products as #1 in the countdown, but it’s something that we’re all extremely proud of, something that we’re constantly working to improve, because we want to make our apps the absolute best they can be for the PuzzleNation audience. That’s what you deserve. And it’s part of the evolution of PuzzleNation and PN Blog. Even as we work to ensure our current products are the best they can be, we’re always looking ahead to what’s next, what’s on the horizon, what’s to come. Thanks for spending 2018 with us, through robots and Rubik’s Cubes, through discoveries and daily delights, through puzzle launches and landmark moments. We’ll see you in 2019. Merry Christmas, Happy Holidays, and Puzzly Delights! I’m a sucker for a festive event, so I’ve got a puzzly double feature lined up for you today. First, allow me to present a delightful video concocted by friend of the blog Hevesh5. Lily is a domino master who has created numerous domino chains and Rube Goldberg-style machines with elements that fit a given theme. So naturally, given the season, she’s devised a marvelous domino chain with all sorts of holiday elements. Enjoy! And since we’re on a holiday kick, there’s an anagram challenge for you too! What are the longest common words you can make from the letters in the following phrase? We came up with one 10-letter word, four 9-letter words, twelve 8-letter words, and thirty 7-letter words. Let’s see how you do! Have a marvelous holiday (or day), and happy puzzling to you!